The author is a leading Saudi media figure and one-time editor-in-chief of the Saudi daily al-Watan. He served as media aide to Prince Turki bin Faisal Al Saud while he was ambassador to the United Kingdom and to the United States. He has been named by Prince Alwaleed bin Talal Al Saud to head his upcoming AlArab TV news channel. 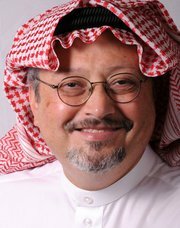 Khashoggi wrote this think piece in Arabic for the Saudi-owned daily al-Hayat. 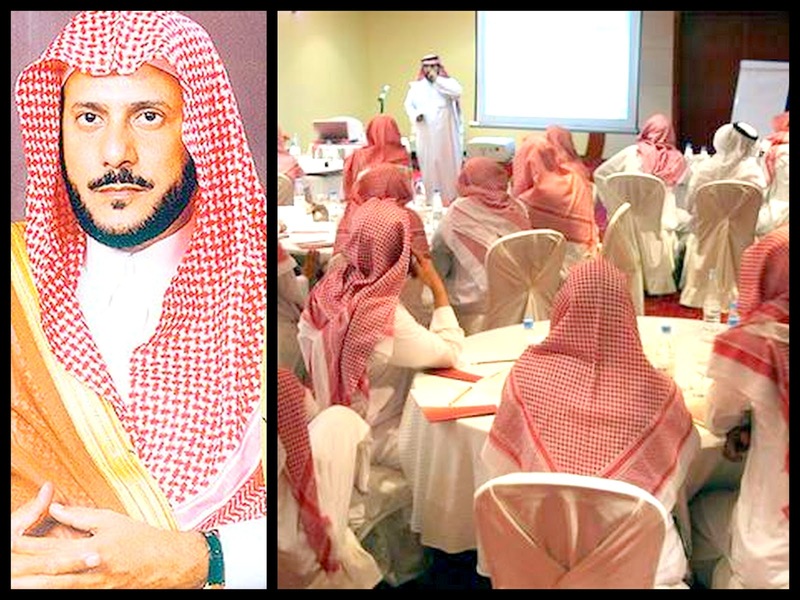 At last, a bona fide drive is underway in Saudi Arabia to reform the controversial state agency known as the Commission for the Propagation of Virtue and the Prevention of Vice (CPVPV). Reforming it doesn’t mean preventing it from arresting a Saudi driving under the influence of alcohol. It means barring it from raiding his home and nabbing him for drinking in private. That’s the distinction most Saudis wish for. They believe that’s more in keeping with sharia, which proscribes flaunting wrongdoings but also interdicts spying and the violation of the sanctity of homes. CPVPV took several years to cover the distance. But it seems the time to close the gap has come under a man who perceives it. He is CPVPV’s new chief Sheikh Abdullatif al-Sheikh, who is highly educated and a scion of an illustrious family. He is the grandson of the founder of the religious revivalist movement that helped conceptualize the Kingdom of Saudi Arabia. Still, he doesn’t sit well with the “hardliners,” who see him as too tolerant. But tolerance is what the Commission needs in these changing times. Its new leader made headlines when he wrote an article for a mass circulation daily tackling one of the most contentious issues between citizens and the Commission. He argued that while khulwah (a couple meeting in seclusion) is haraam (legally forbidden by Islamic law), gender mixing in public is not. Recognition of the dissimilarity will certainly defuse tension between citizens and the Commission. The Saudi is conservative by nature. He would acknowledge his blunder if the Commission broke into a furnished apartment and found him alone with a female. But he wound rant and rave if the Commission detained him when attending a mixed-gender dinner in, say, a Chinese restaurant. Many such incidents ended in courts and cells after such arguments turned ugly. These are the kind of subtle inconsistencies that al-Sheikh will be addressing. Surely, the Commission cannot possibly be disbanded. It represents his grandfather’s call on the righteous to guide others. But to survive, the call needs to be refined and updated such that it would end the kind of squabbles that keep provincial princes busy settling them out of court. This would also bring down the curtain on sensational, but divisive, newspaper articles about the Commission. To understand the Commission, we have to appreciate our country’s unique character. The kingdom’s nucleus is a religious concept much more than a state or a royal family model. Without this da’wa (or the preaching of Islam), there would be no Saudi state. This explains why the state upholds the Commission associated with its raison d'être. Another intellectual would say state-run media is doing part of the Commission’s work. Ulamas (or religious scholars) and preachers spend hours propagating virtue and guiding people on government-controlled TV and radio channels, far better than what a mutaween member did in the past in the neighborhood mosque. Once jihad ended and the modern state emerged, the idea of the distinctive trait of being better than the rest waned and the mutaween’s task became harder. The fighters of old fathered non-combatant children. Life became easier, modernity started reaching the new state – chiefly education and mass media – and the old fighters’ children got exposed to new ideas, which they wanted to debate. Unlike their righteous forefathers, they wouldn’t take everything they heard at face value. Eastern and western coastal cities became the more problematic. Their populations were not landlocked. They appreciated music, smoked, shook infidels’ hands and traveled far. The mutaween transformed into an official Commission but with a rolling task. Among the Commission’s original duties was to enforce Muslim prayer times, chiefly the al-fajr (near dawn) prayer. One Commission element would go around in a neighborhood, calling out its residents -- one by one and by name – to single out prayer absentees. The next task would be to know the cause of absence – illness or dereliction of one’s religious obligation. The rolling charge to prevent vice, which is the most important task, came to stretch from calling on worshippers to comply with prayer times to unearth smokers and music listeners. Evolution, opening up and the inflow of foreigners did not stop. Natives headed to the West and came back sporting trousers and speaking English. But the Commission continued to cling to the old apprehensions. The lack of a clear modus operandi led to overlaps between the Commission and other state agencies. The Ministry of Information would authorize books or magazines only for the Commission to confiscate them without compensation to their owners. The Ministry of Commerce and Customs would authorize and tax tobacco imports and the Commission would them ban tobacco merchandizing. An arbitrator would intervene to sort out the muddle without setting rules or regulations spelling out the rights and obligations of each of the sides. Paradoxically, most Commission critics remain apprehensive of its eclipse. They wonder how society would cope without it, especially as concerns our women, who are our honor and pride. Notwithstanding the pressure they were coming under by reformers and intellectuals, young Commission members took advantage of these anxieties. They successfully improvised the slogan “Guardians of Morality.” But intellectuals from the two genders still felt aggrieved, perceiving the watchword as an implicit accusation of females in the sense their “morality” needs the protection of a second party. Critics grew in numbers and Commission veterans aged. They would go around on foot urging passersby to observe prayers times or lower the volume of broadcasts. “Cover your face, woman,” they would order. The Commission then acquired cars equipped with loudspeakers to pass orders. A “young guard” started enlisting in the Commission, particularly in the “wake-up” period that followed the “Juhayman” outrage. The outrage revived stringency after the wave of open-mindedness of the early seventies. The state deduced that one reason behind the insurgency was the wave of open-mindedness championed by the new bourgeoisie and the educated. The state consequently gave the Commission added prerogatives, intimidating black cars (these have now been painted white) and communication devices as well as more jobs, salaries and allowances. The Commission then engaged citizens in a cat-and-mouse game. It did not suffice with summoning people to prayers via car loudspeakers. It started tailing the “corrupt” all the way to their “dens.” Whereas it certainly succeeded in uncovering prostitution rings and bootleggers, it also infringed on people’s privacy. At times, it erred dramatically – such as by detaining a married couple for hours or a citizen picking up his sister from school. Some overzealous mutaween still thought people were guilty until proven innocent. This confrontation is caused by two dissimilar perceptions of what is socially acceptable or unacceptable. That has nothing to do with “halal and haraam” (religiously lawful or forbidden).